At DCF we are always striving to push the innovation envelope! It usually means we are in the kitchen or chocolate lab testing new recipes and coming up with new ways to reinvent sweet treats! Below are a few new and exciting ideas and stations we’ve just launched! Our printed division has expanded our offering once again. Seeing the growing trend of “better for you foods” while still offering the ability to customize- we now offer custom apples! Whats so great about these- is the amazing shelf life! Apples stay fresh for over one month when properly stored! 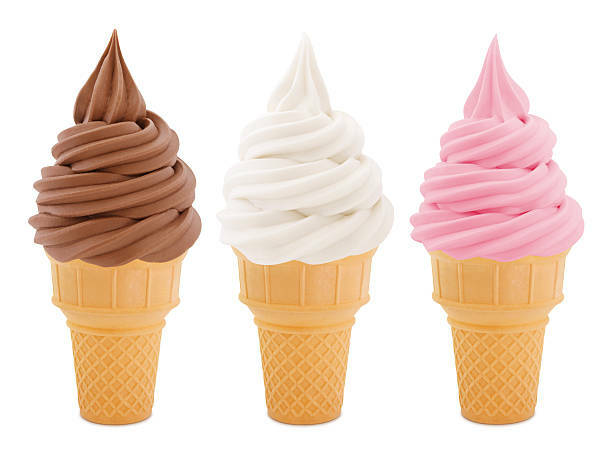 Back by popular demand- we are so excited to announce we have added several machines to our portable soft serve offering- and have further enhanced our recipes to offer our clients the best soft serve ice cream available! Freshly swirled and served with wide array of toppings, the combinations are endless. Ask us about flavour options. A Sugar high twist, on a savory classic. Cotton Candy stuffed with Artisan ice creams and wacky gourmet toppings, all rolled together to create an amazing over the top mega dessert! Custom toppings and devour delectable and warm pieces of the “pie”. Hot and Fresh Fried Kettle Chips will be sure to bring a big CRUNCH to your next event. Made fresh to order and seasoned just the way you like!